We provide listings of Treatment Centers that are free, sliding scale, discounted, low cost, Medicaid sponsored. Many are non profit drug and alcohol treatment facilities. Overall when you are in need you always do not have the money to afford a treatment center. We try to find the most affordable treatment for you for addiction, substance abuse, alcoholism, etc. 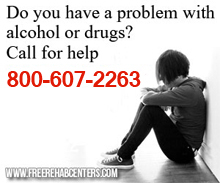 The term treatment center covers a wide array of services. There also are many government sponsored programs for treatment. Our goal at Free Treatment Centers is to first and foremost find free treatment for those in need. In the case we do not find any free treatment in your area, we still want to help by letting you know of other resources for low cost treatment. Email us at imaginads@gmail.com if you find an error on our website that needs correcting.